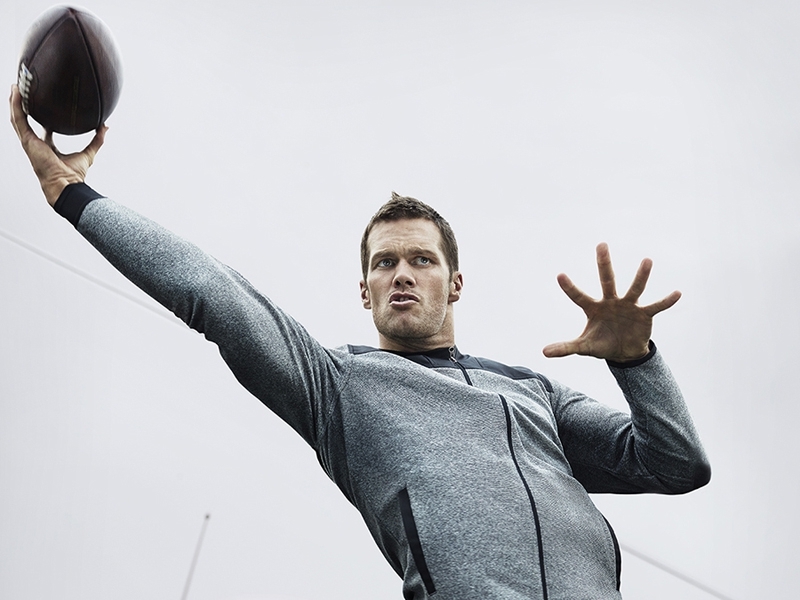 Tom Brady is football’s matinee idol, the golden boy of the gridiron. As quarterback for the New England Patriots, he has managed to turn one of the NFL’s perennial losers into the class of the league. The epitome of the Blue Eyed American Quarterback hero, Brady has taken superstardom in the NFL further than any of his predecessors ever managed. Dan Marino, Joe Montana and John Elway all have nothing on America’s favourite son. His list of achievements in football is endless. He is one of only two players to win five Super Bowls and the only player to win them all playing for one team. He has also appeared in more Super Bowls (seven) than any other player, has won more MVP awards (four) in the Super Bowl than any other player and has led his team to more Division Titles (fourteen) than any other Quarterback. 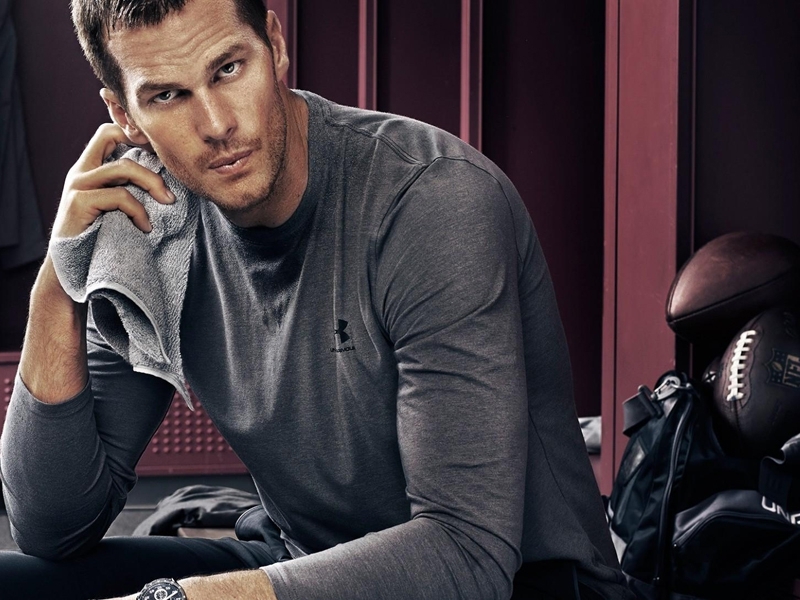 Brady has crossed over from mere athlete to superstar, proving himself as comfortable walking down the red carpet with supermodel Gisele Bündchen as he is driving his team to the promised land. So who do we get to interview such an icon – no ordinary journalist will do the trick here so we managed to obtain actor and football aficionado Matthew McConaughey, who accomplishes what no defence has yet been able to: getting into the head of the unflappable Mr. Brady. MATTHEW MCCONAUGHEY: It’s getting to be about that time. The end of your career. TOM BRADY: I know, man. I’m not ready to stop. I don’t know what to do with all this free time. MCCONAUGHEY: One thing I’ve noticed recently is that a well-rounded team will beat one that’s stacked with superstars who don’t necessarily have the team mentality. BRADY: It didn’t used to be like that. With football you can have up to 28 guys you consider starters, and if they can pick up the slack when some aren’t playing so well, you don’t have to turn those two-game losing streaks into six-game losing streaks. MCCONAUGHEY: Does mental toughness come into play? BRADY: I’m fortunate to have played for a coach [Bill Belichick] who I think is the best in the NFL. The way he communicates with his players gives us a great competitive advantage. Every quarterback can throw a ball; every running back can run; every receiver is fast; but that mental toughness that you talk about translates into competitiveness. A lot of times I find that people who are blessed with the most talent don’t ever develop that attitude, and the ones who aren’t blessed in that way are the most competitive and have the biggest heart. BRADY: Right. Maybe it’s because it’s so natural for the talented ones. You know, when you’re the fastest kid in fourth grade and you play the most, you don’t have to work so hard. You go through high school and college the same way: never listening to your coaches because you’re the best. But when you get to the pros, all that stops because everybody there has talent. MCCONAUGHEY: It seems like there’s no comparison in terms of the leap in talent from college to pro. BRADY: No question. And a lot of that comes from the pressures you feel as an adult. Mentally, the only players who survive in the pros are the ones able to manage all their responsibilities. Everybody struggles in different ways. MCCONAUGHEY: How much are you playing to win versus playing not to lose? BRADY: I think that at the start of a game, you’re always playing to win, and then maybe if you’re ahead late in the game, you start playing not to lose. The true competitors, though, are the ones who always play to win. I’d like to think that that is my team’s approach. MCCONAUGHEY: Describe what’s happening when Tom Brady’s at his best. BRADY: I can see the things before they happen, and if you know what’s going to happen, boy, you can really slow the action down for yourself. MCCONAUGHEY: And if you’re not at your best? BRADY: I think a lot of that is about confidence. There are times when you throw an interception and you’re beating yourself up. Then there are times when I’m not feeling good because maybe I got off to a slow start or didn’t build my confidence. MCCONAUGHEY: What’s the dirtiest thing that’s ever happened on the bottom of the pile? BRADY: [laughs] Aw, man, I tell ya, I’ve had just about everything punched. I’ve had things grabbed that just shouldn’t be grabbed. BRADY: It hurts, too. You know, I’m 6 foot 5, 220 pounds, and I’m the smallest guy out there. MCCONAUGHEY: I know from my dad who played defensive end for the Green Bay Packers in ’53, and from other friends who’ve played some ball, that at the NFL level, a lot of what separates many of the players is physical toughness and an ability to play while injured. BRADY: It sure is. After the first day of practice, there’s not one guy who’s playing at 100 percent or who feels great. Sometimes, getting up in the morning and brushing your teeth is the hardest part of the day—it just hurts. Some people will say, “You know what? I can’t show up and practice today,” while others will say, “This is how I’m going to feel, and the only way that’s going to improve is if I work it out.” I’ve found that guys who play through the pain are the ones who are most ready to go on Sunday. That’s mental toughness. MCCONAUGHEY: We know that you are friends with Donald Trump and you play golf together on a regular basis. What is your opinion about president Trumps comments towards the NFL when it comes to players protesting during the national anthem? 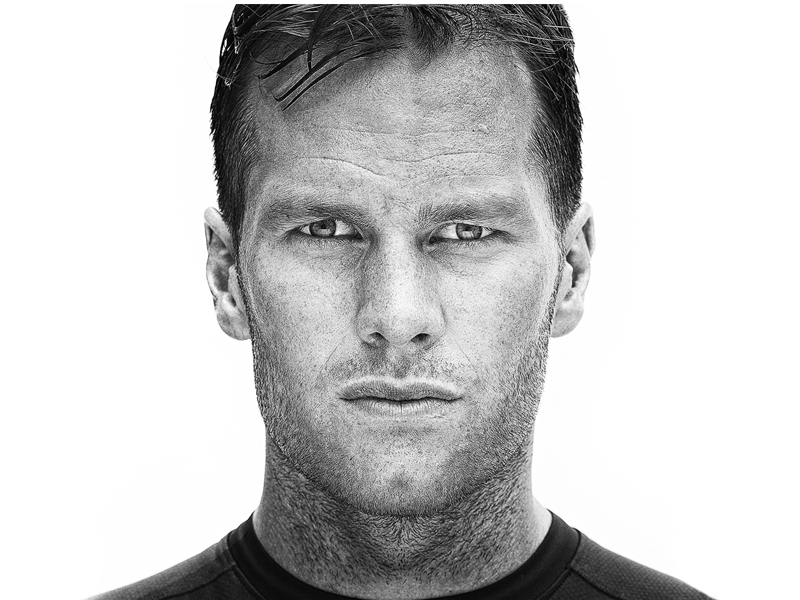 BRADY: I certainly disagree with what he said. I thought it was just divisive. Like I said, I just want to support my teammates. I am never one to say, ‘Oh, that is wrong. That is right.’ I do believe in what I believe in. I believe in bringing people together and respect and love and trust. Those are the values that my parents instilled in me. That is how I try and live every day. I have been blessed to be in locker rooms with guys all over the United States over the course of my career. Some of my great friends are from Florida, Virginia, New York, Montana, Colorado, Texas. The one thing about football is it brings so many guys together — guys you would never have the opportunity to be around. Whether it was in college, and all the way into the pros. We’re all different, we’re all unique. That is what makes us all special.